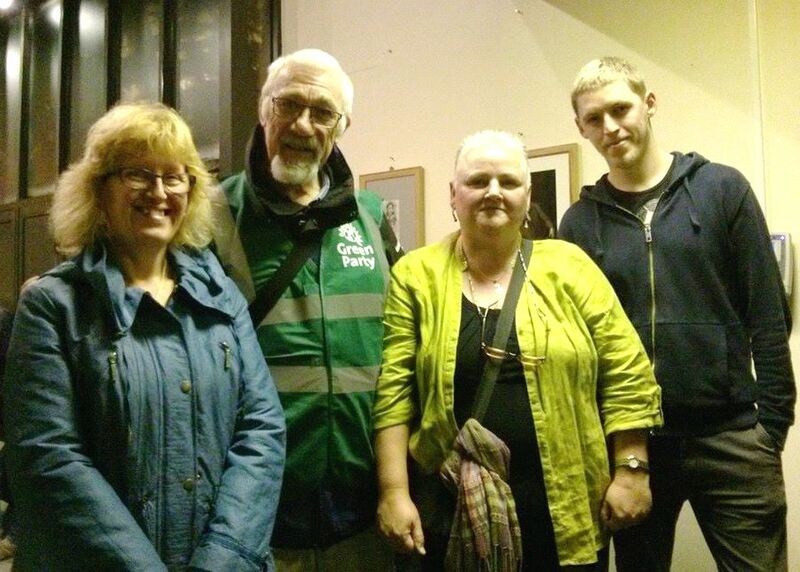 I joined the Green Party officially last year after having been ‘in sympathy’ with its values for many years. I joined because I wanted to be part of the change we need to make our society fairer and more sustainable. Having joined, I spent some time reading Green Party policy and recognised that some of the issues I was already interested in (Citizen’s income, re-nationalisation of the railways, opposition to TTIP etc.) were aligned to Green party thinking. I quickly became active in the local party and we meet every couple of weeks to discuss current projects and campaigns. 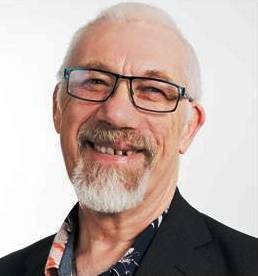 I have been selected democratically by the group to be their ‘lead’ candidate for Belper North Ward in the Amber Valley Borough Council elections. I am also standing as a national election candidate in order to give people a chance to vote Green in Mid Derbyshire in the general election. I am a realist, and understand that the possibility of winning a seat in Mid Derbyshire is minimal. However, I have met many people who have said that they would like to be able to vote for the Green Party in a national election and I would like to give them a chance to do so. I feel I am a credible candidate, with good communication skills. 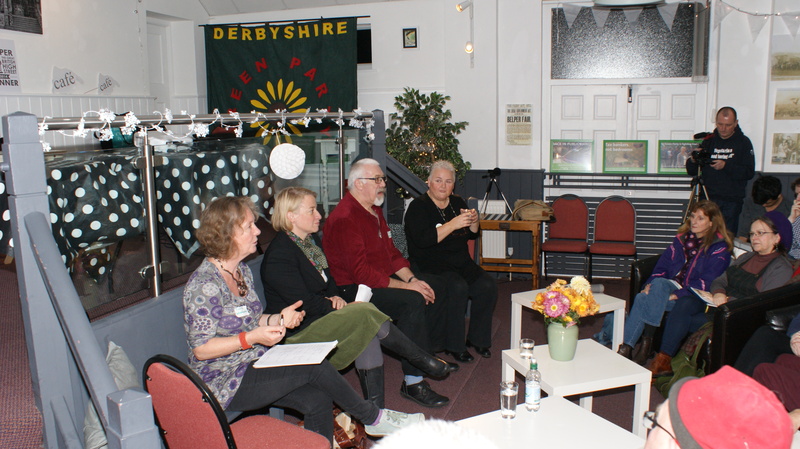 I prepare press releases for Mid Derbyshire Greens, and have been on the radio about a local issue surrounding democracy. I am a Natural Voice Practitioner, and this involves helping people to find and use their voice. I feel that politics has similarities to this, and I feel very strongly that everyone’s voice should be heard. 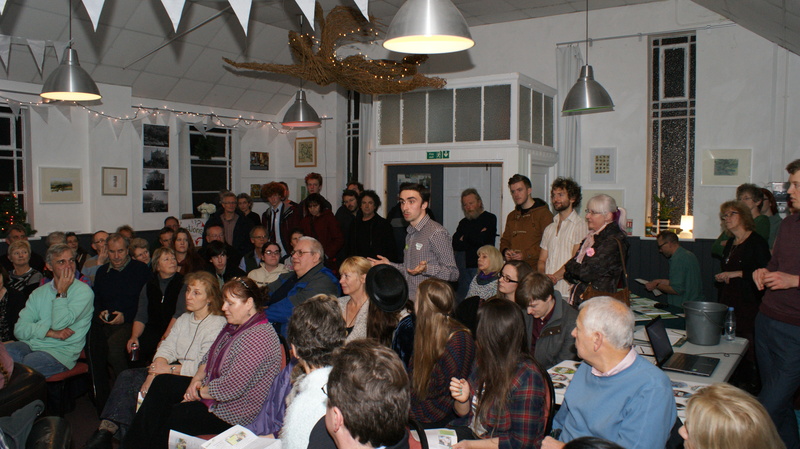 I would like the opportunity to be able to represent people, and to give them a voice in local and national politics. 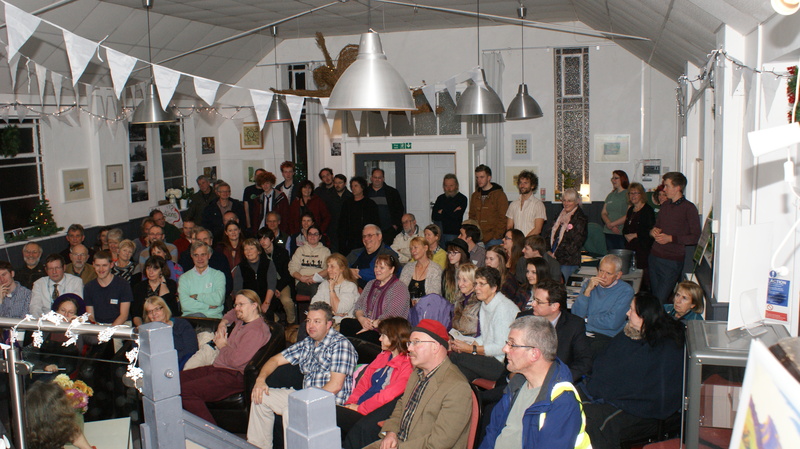 I organised the successful ‘crowdfunder’ project which played a large part in enabling us to stand Green Party candidates in Derbyshire at the coming general election. I feel well supported by my local party and activist group, and am heartened by the fact that our numbers grow at almost every meeting. 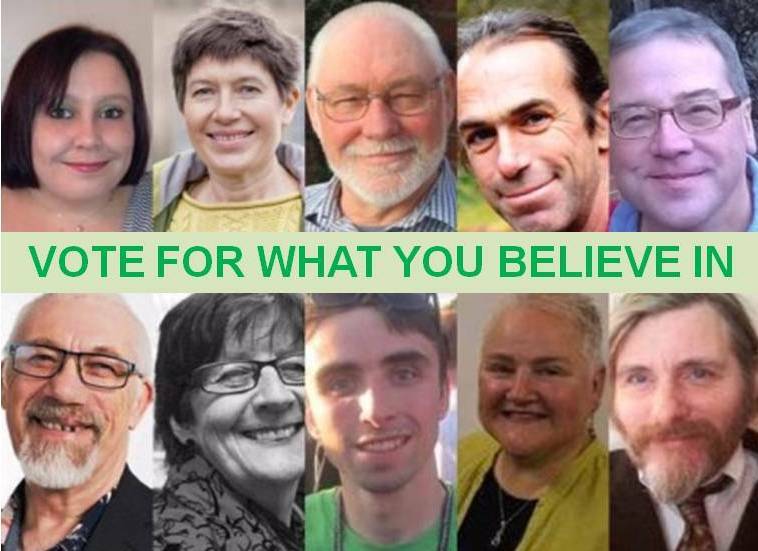 They have faith in me and I would like to validate that faith by standing as Green Party candidate for Mid Derbyshire in the forthcoming general election. My work experience has been varied. Six years in the armed forces taught me the value of team work and discipline. 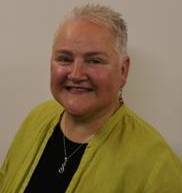 Later, as a registered nurse, working with special needs patients, I learned compassion and developed a strong sense of social justice and the need to speak out against injustice. I have also worked as an Environmental Crime Enforcement Officer for the Environment Agency where I dealt with many different people and professions. Part of my role was to produce prosecution reports and give evidence at magistrate and crown courts. 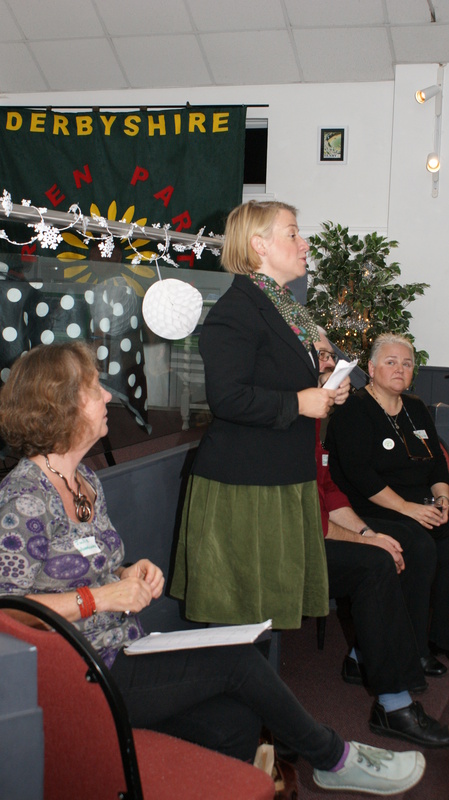 I also have experience of making presentations to councils and local community groups. I am standing as Parliamentary Candidate for the Amber Valley Constituency in order to give people the chance to vote for a different way of doing things. I want the people of Amber Valley to know that the Green Party is here and that we are prepared to speak for them; that the Green Party offers hope and practical solutions where all other Parties offer division, fear and failure. Want to know what all the fuss is about The Green Party? 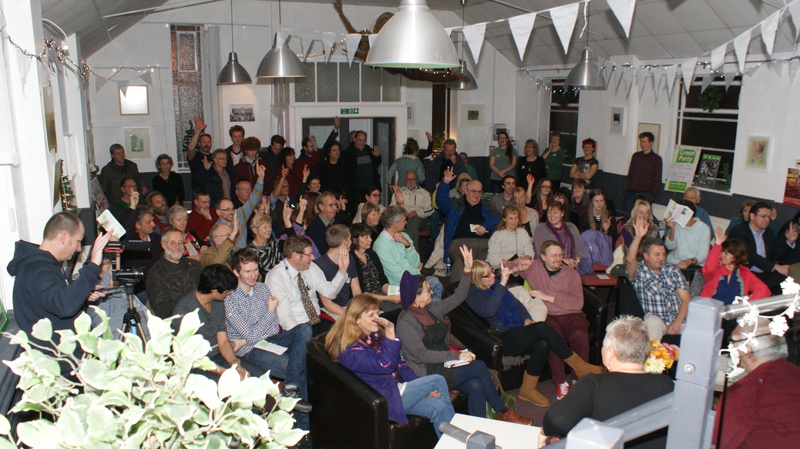 If want to know more about the Green Party, then why not get yourself to today’s public meeting of the Mid Derbyshire Greens (Monday, 16th Feb)? 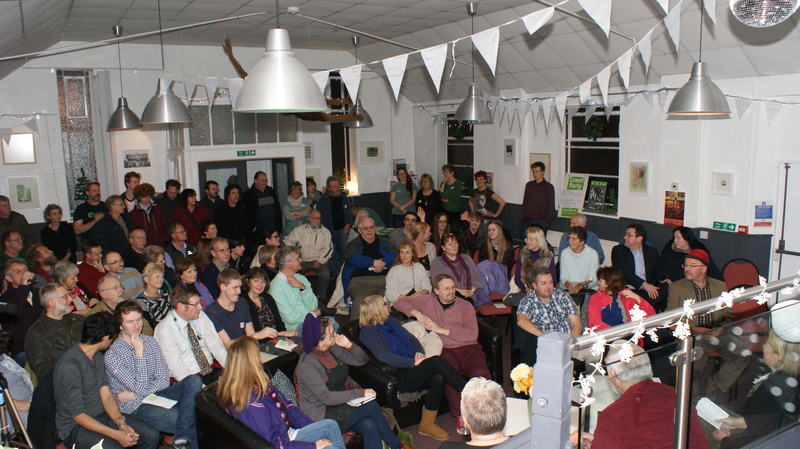 Green Party membership in the Mid Derbyshire and Amber Valley areas has increased by more than 650% since the beginning of last year, with Belper membership seeing a 1000% increase, thanks in part to the increased publicity surrounding the political party. “Our policies are coming under increased scrutiny and getting a lot of coverage in the media because of the imminent general election and the surge in interest in the party, so we want to give people the chance to chat to us and allow us to answer their questions.” Sue added. 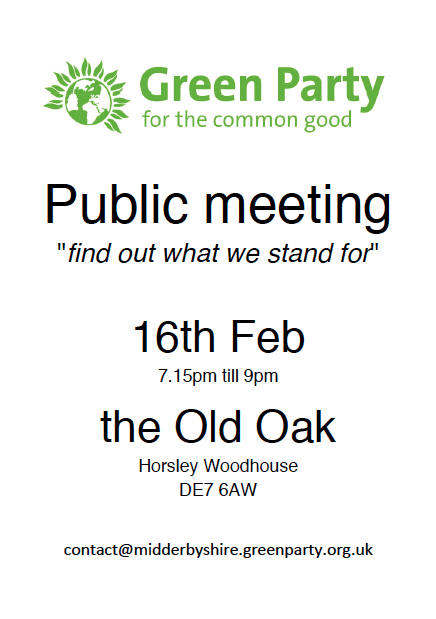 The meeting is being held at The Old Oak pub in Horsley Woodhouse, Derbyshire DE7 6AW today, February 16th from 7.15pm – 9pm and is open to everyone not just members of the party. 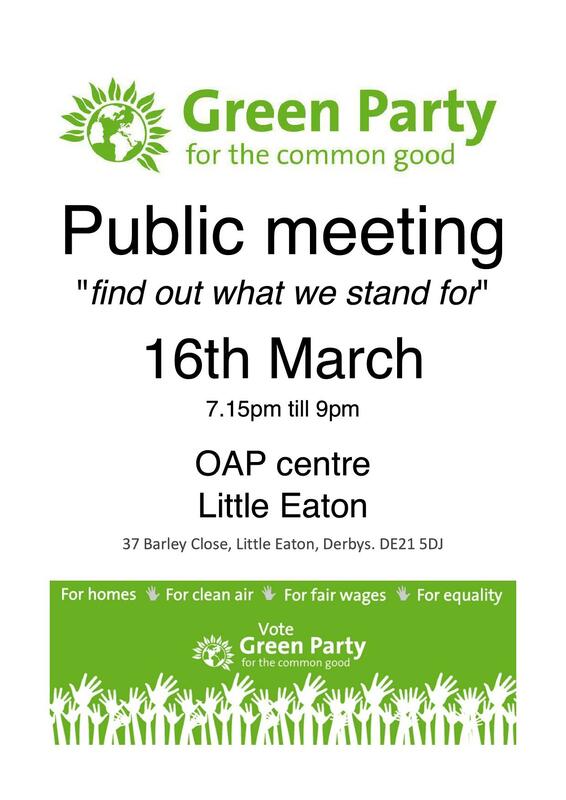 A second public meeting is planned for March 16th at Little Eaton, which is just off the A38, south of Belper and Duffield. For more details, please email sue@the-macfarlanes.co.uk .